Capt. Chuck was on his way to provide a battery jump to a client when he spotted smoke in the distance on Biscayne Bay Saturday, May 14. 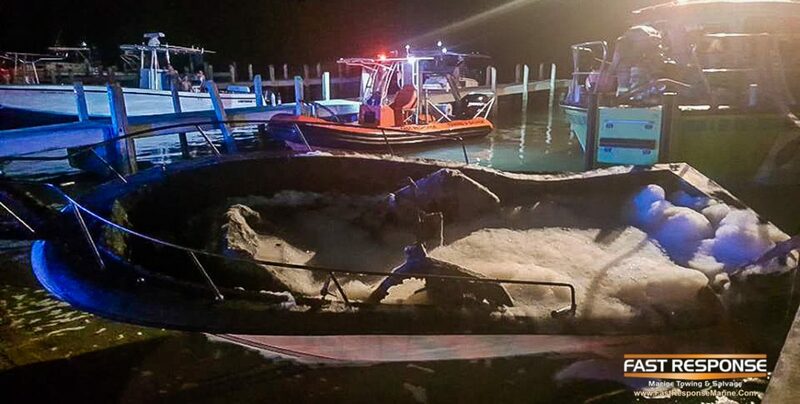 First to arrive on the scene at Crandon Park Marina, he found a vessel fully engulfed in flames on the boat ramp and immediately started fire suppression. 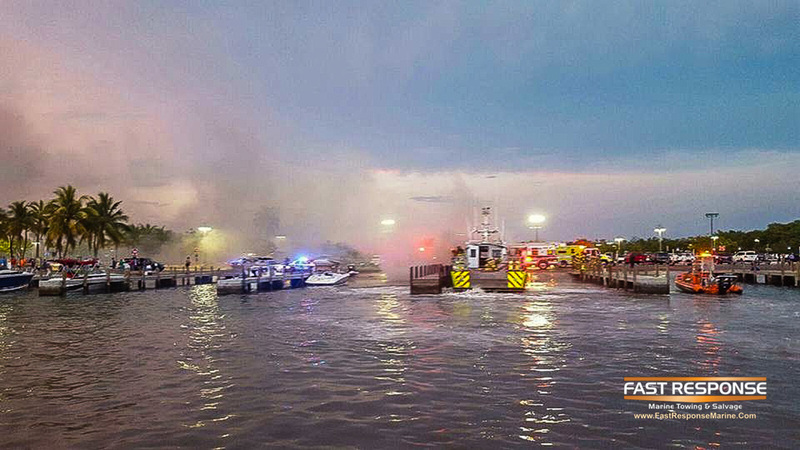 Metro Dade’s fireboat arrived shortly afterward and extinguished the blaze. 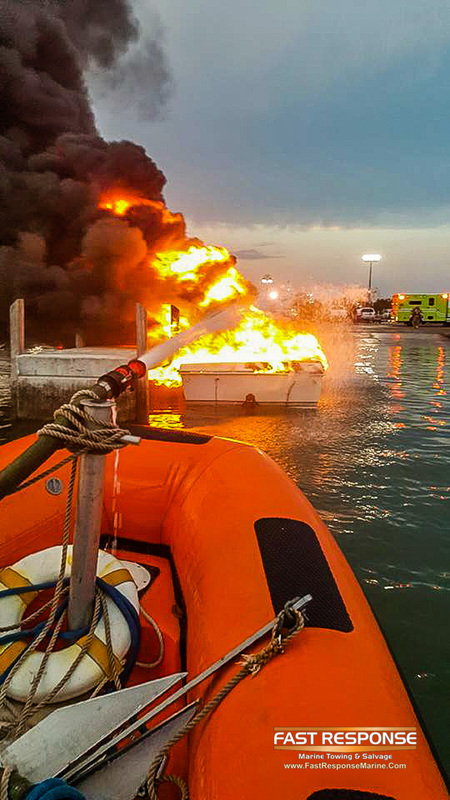 The fire began when a buildup of fumes in the engine compartment ignited as the owners attempted to start the inboard gas engines. 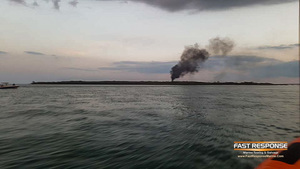 “Please make sure your blower motor is running and your engine compartment is well ventilated before starting your inboard gas motors,” Capt. Chuck advises. Thanks to the Metro-Dade fireboat for their great service. Luckily, no one was injured in this mishap.